The Bar Council of Kerala is constituted by representatives of lawyers who are elected from among them. But it is now doubtful whether the elected representatives of lawyers are eager about the welfare of lawyers of the State of Kerala. 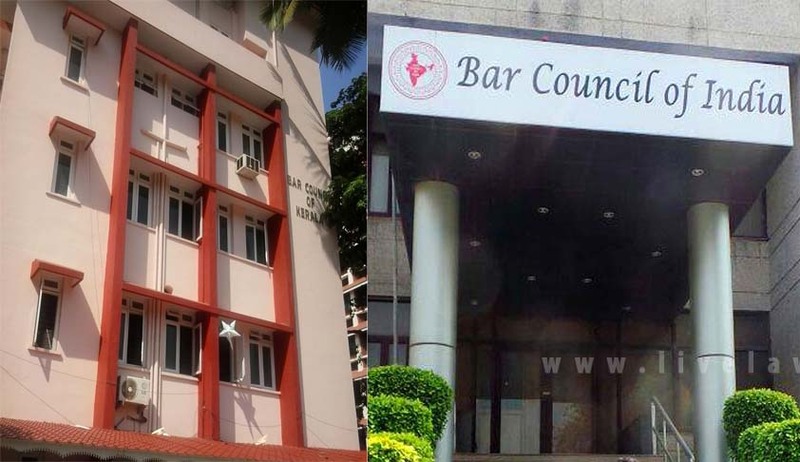 The recent development of issuance of Certificate of Practice to lawyers mooted by the Bar Council of India is seen utilised by the Bar Council of Kerala to fleece lawyers. The General Council of Bar Council of India held on 29th/30th November 2014 passed Resolution No: 216/2014 and resolved to repeal the “Bar Council of India Certificate of Practice and Renewal Rules, 2014” and approved the new “Bar Council of India Certificate and Place of Practice (Verification) Rules 2015”. The Bar Council has fixed the fee for issuance of Certificate of Practice as Rs.500/- and for ID Card Rs.200/-. The DD for Certificate of Practice shall be drawn in favour of “Bar Council of Kerala Verification Process Fee Fund” and DD for issuance of ID Card shall be in favour of “Bar Council of Kerala”. The Rule 8.4 also provides the division of Rs.100/- as Rs.20/- to the concerned Bar Association, Rs.30/- to the Bar Council of India, rest Rs.50/- to be kept in the account of State Bar Council. Whileso, taking on a cue from the Statement of Objects and reasons narrated above, that State Bar Councils have the option to collect Rs.500/- and Rs.400/- can be utilised for the welfare of lawyers and Bar Associations, the Bar Council of Kerala decided to collect Rs.500/- from lawyers. It is in fact contradictory to the statement therein which reads as follows: “Now only Rs.100/- is to be charged from the Advocates as process fee and rest of Rs.400/- would be optional, not mandatory, depending upon the decision of concerned State Bar Council and the concerned Advocate.” The Bar Council of Kerala forgot the fact that an individual Advocate also has a say on the said option. The communication sent by the Bar Council of Kerala to all Bar Associations gives an impression that the amount of Rs.500/- is mandatory for obtaining the Certificate of Practice. The option part in the Rules is purposefully suppressed in the communication issued by the Bar Council of Kerala. Moreover the Bar Council of Kerala has not informed the lawyers as to how they are utilising the amount of Rs.400/- additionally collected from 47000 members. The intention of the Rules regarding the said optional amount of Rs.400/- is also clear from Rule 35 of the new Rules which explains about the amount so collected under the previous Rules of 2014 and directs refund of the amount already collected. It says: “Either after deducting Rs.100/- as process/verification fee, the rest of Rs.400/- is to be refunded to the Advocate or it may be utilised for the insurance of the Advocate and his family or for the benefit and welfare of concerned Advocate. This decision is to be taken by the concerned State Bar Council only after obtaining option of concerned Advocate.” Therefore it is amply clear that the intention of the new Rules is to utilise the optional amount of Rs.400/- for the individual welfare of the concerned Advocate and his family. The Bar Council of Kerala also decided to collect Rs.200/- as cost of issuing Identity Card to lawyers. The issuance of ID Cards does not find a place in the new Rules framed for the purpose of issuance of Certificate of Practice. It seems to be an idea created by the Bar Council of Kerala. It is not known how an ID Card costs Rs.200/- when even quality Plastic ID Cards issued by various authorities cost less than half of the same. The lawyers of Kerala have to spend Rs.700/- plus the Demand Draft Commission and handling charges which may be incurred by the concerned Bar Associations to obtain their Certificate of Practice and Identity Card. It is also notable that the validity of the Certificate and ID Card is only five years. This amount is to be paid by all lawyers irrespective of their service of practice. It is quite surprising, rather shocking that the bar Council of Kerala has decided to spend Rs.94 Lakhs (Rs.200/- x 47000) to issue ID Cards to lawyers for a five year period. The lawyers of Kerala are forced to pay this amount when the Bar Council of India has fixed a reasonable amount of Rs.100/- alone, that too after protests against the amount earlier fixed as Rs.500/-. In this context, the Bar Council of Kerala has to explain as to whether they have any concrete projects or schemes framed for utilising the additional Rs.400/- claimed from each lawyer of Kerala. Another question also may arise as to whether the Bar Council of Kerala can enforce payment of the said Rs.400/- from any lawyer of Kerala by refusing to grant him the Certificate of Practice. The Rules are clear that the application of a lawyer for the Certificate of Practice cannot be refused on such grounds. It is also a fact that an ID costing Rs.200/- is not necessary for obtaining a Certificate of Practice from the Bar Council. The practice of a lawyer cannot be curtailed on the ground that he refused to pay Rs.200 for an ID Card issued by the Bar Council of Kerala according to its whims and fancies and without the backing of any Rule on that behalf. If so, those who pay the amount without resistance may become fools when the amount so collected will be used for the general welfare of lawyers who include those who refused to pay. It is true that such aspects were not discussed or even thought of by the Bar Council of Kerala when they decided to collect an additional amount of Rs.400/- plus Rs.200/- from each lawyer of Kerala in the proceedings related to issuance of Certificate of Practice. The Bar Association Office bearers are also in the dark as to how they can refuse to attest the Application Forms of lawyers who refuse to pay the optional amount of Rs.400/- and Rs.200/- charged for the ID Card. This is only due to the lack of clarity and suppression of actual facts in the communication issued by the Bar Council of Kerala. There are 47,000 lawyers in the rolls of Bar Council of Kerala. Rs.400/- collected from each lawyer will amount to Rupees One Crore and Eighty eight lakhs which is not a small amount. Likewise Rs.200/- is being collected as cost of ID Card which amounts to Rupees Ninety Four lakhs. It is not at all convincing that 47,000 ID Cards cost Rs.94,00,000/-. When the Bar Council of Kerala decided to collect such a huge amount, it is answerable to lawyers of Kerala as to how they are going to utilise the said amount, especially when the tenure of the present Bar Council is to expire within a few months. The Bar Council of Kerala has to explain a lot on these facts. Read the Circular of Bar Council of Kerala here.